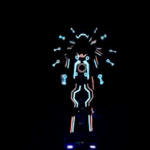 Have you ever witnessed amazing hoverboard LED PERFORMERS on stage? 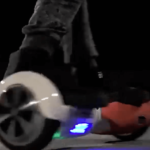 What exactly are LED hoverboard entertainers? Just to give you a brief idea, a hoverboard is simply an electronic powered two wheel designed piece of equipment that once you are on it your weight balance determines the direction that you go in as well as the speed you go at. 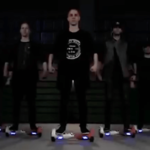 These amazing hoverboard LED PERFORMERS have entertained audiences on TV shows, at live events, in the creation of social media videos and for exclusive audiences at award ceremonies and corporate dinner events. What makes these amazing hoverboard LED PERFORMERS better than any other hoverboard entertainment show is how they’re choreographed dance moves are put together and performed all insync according to any type of music. The amazing hoverboard LED PERFORMERS not only can perform a daylight stage show but also a choreographed LED light show with the specialised LED costumes. 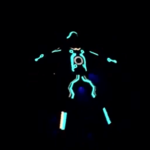 These LED costumes have been synced in time with the hoverboard entertainers music and the light costumes change to the different beats of the music. 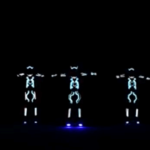 This technique of the LED suites being choreographed with the music puts this LED hoverboard entertainment show in a league of its own. These expert amazing hoverboard LED PERFORMERS have entertained for both large and small audiences at various events in cities & countries such as Dubai UAE, Singapore, Croatia, Thailand, Doha in Qatar, Macau, Los Angeles USA, Las Vegas USA, Milan ITALY and Mumbai India just to name a few. The types of events that these amazing hoverboard LED PERFORMERS have entertain that include corporate events, private house party event, sporting award ceremonies, dinner gala events and technology exhibitions. This entry was posted in Entertainment, Streets Utd News and tagged hoverboard extreme show, hoverboard LED entertainers, hoverboard LED entertainment, hoverboard LED performance, hoverboard LED performers, hoverboard riders, LED costumes, LED light costume entertainment, LED light entertainment, LED performers on hoverboards.